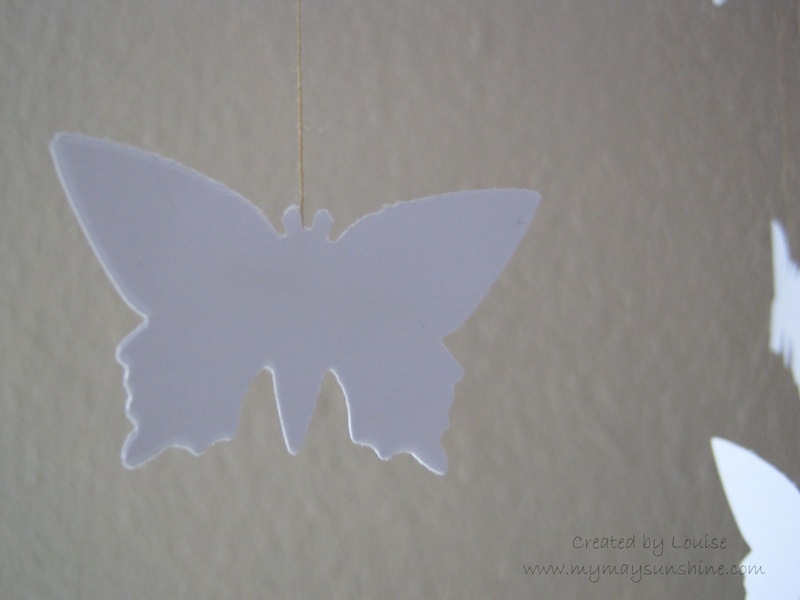 I recently decided to make a hanging mobile and knew that I wanted to use white butterflies but I scoured the house to see what I could use as a hoop and came across 2 embroidery hoops that my mum had given me, one small and one large. I thought that they would be perfect. I chose to use the smaller one aswell and secured it inside the larger one and that would enable me to have another layer. 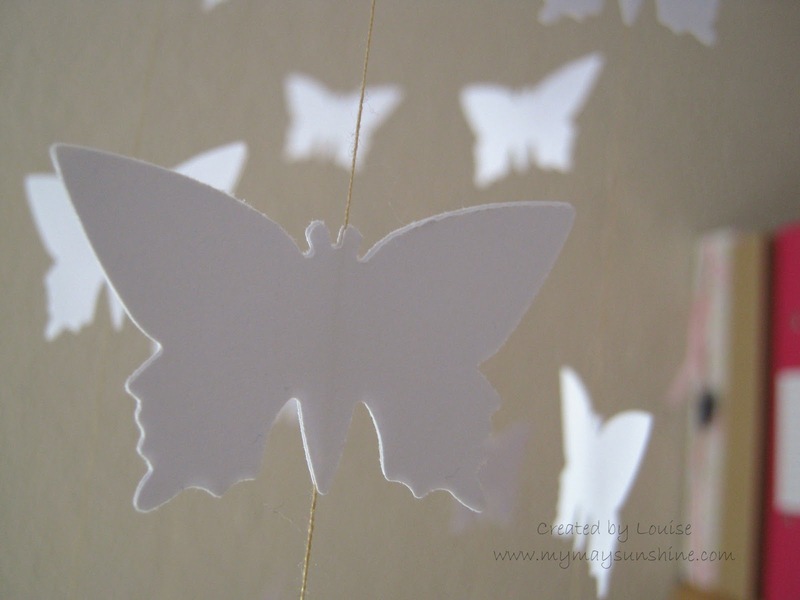 I punched the butterflies from a 2″ butterfly punch and stuck 2 butterflies together with the thread running inbetween them and on to the next butterflies. 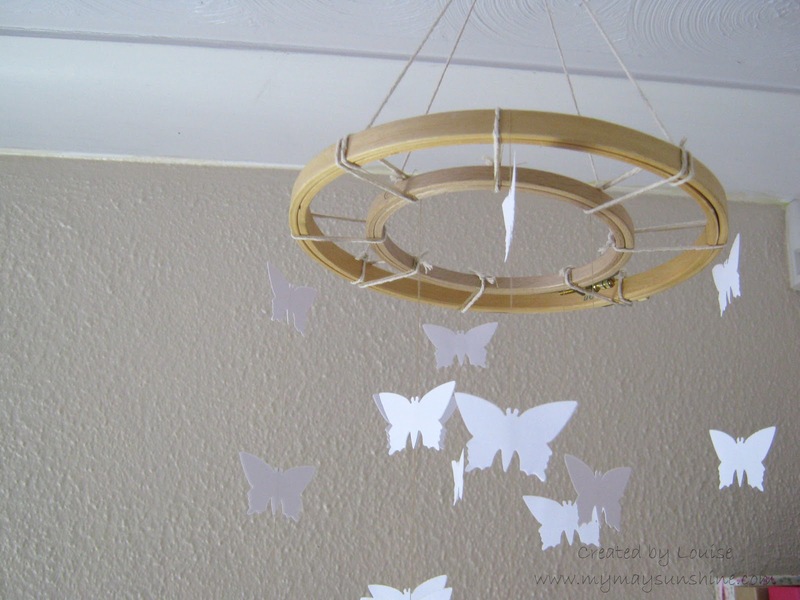 I made 8 threads of 7 butterflies and attached them to the hoops at slightly different heights. 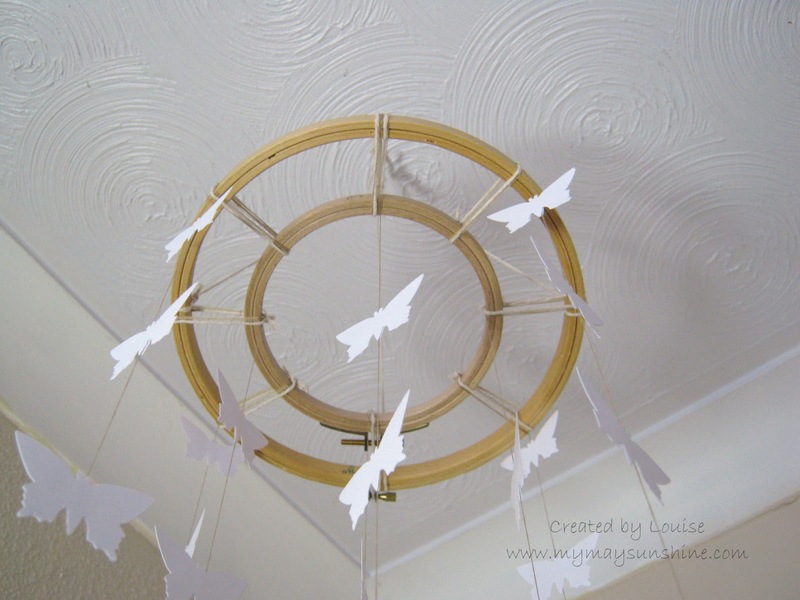 I added some twine to attach the mobile to the hook in the ceiling and it was done. 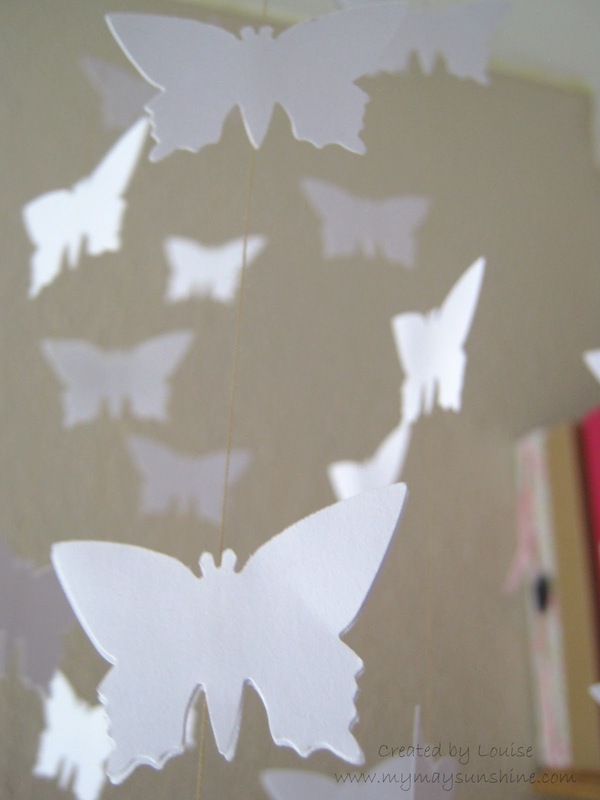 When the mobile was hung, the butterflies started to turn individually which adds more of an effect. It now hangs above my craft desk and it’s soothing to look at. Previous Post A bit about me. Next Post This card was sooooo much easier than normal.